The Vuototecnica Graphic division is entirely designed to meet printing and graphic industry’s needs. More than just offer its customers products, Vuototecnica as usual supports customers from engineering to customer service. The printing industry requires - in addition to excellent performance - speed, instruments reliability to avoid costly stops, longer component life and affordability. AS suction and blower system designed for the management of paper during the printing process. It is a cabinet and it is compact and simple to use. It contains suction and blowing pumps combined together inside, compressed air control and shutting off valves and all the controls. 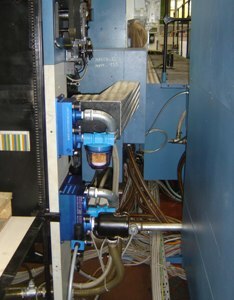 Blowing and suction connections for use and microporous cartridge filters are placed on the sides of this metal cabinet. They are capable of retaining even the finest dust which is usually found in printing environment. On the control panel, there are: the general pneumatic switch for intercepting supply compressed air, together with a pressure gauge for line pressure direct readout; pneumatic switches for intercepting the supply compressed air of each pump; pressure reducers with pressure gauges on, to adjust the compressed air of each pump; precision vacuum gauges and pressure gauges to read out directly the vacuum and pressure degrees; vacuum gauges that allow you to control the degree of blowing pumps filter clogging. 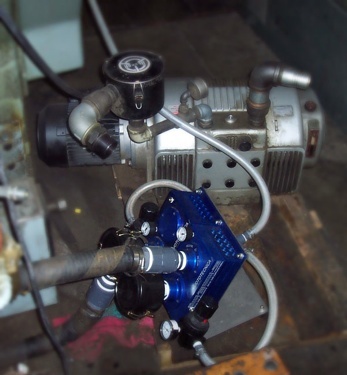 The pumps can be controlled individually, and this allows high quality and a strong increase in productivity. 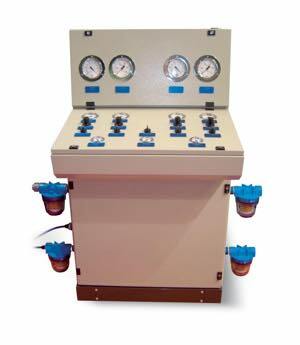 The pneumatic pumps are based on the Venturi principle, this prevents downtime. Depending on the supply air pressure, it is possible to adjust the vacuum degree (or the pressure degree) and the pumps flow rate. The three visible benefits of this system are: high compressed air energy saving, a maintenance reduced to periodic filter cleaning, a healthier and less noisy work environment (no emission of oil or condense), no impurities on paper sheets to be separated. Vacuum cylinders are very suitable for the separation of paper or plastic sheets in combination with suction cups. They work in depression on short and fast cycles. They have a hollow rod on which you can assemble the suction cup and they are made of anodized aluminum for extra durability. The operation is simple: we create the vacuum in the anterior chamber of the cylinder, so the rod, integral with the piston, comes out and wins the opposing force of the spring. The piston is pushed by the air at atmospheric pressure which enters the rear chamber of the cylinder, through the hollow rod. The greater the pressure differential between the anterior chamber of the vacuum cylinder and the rear chamber at atmospheric pressure, the greater the thrust force of the piston. The rod part when you disallow the entrance of atmospheric air through the hole of the rod and with the vacuum inserted you delete the pressure differential in the cylinder because the forces of the opposing spring prevail and the rod returns to its initial position, in this way. Even in the event that the vacuum is excluded, and you restore the atmospheric pressure in both chambers of the vacuum cylinder, the pressure differential is reset and the rod returns to its initial position. These cylinders are very fast, able to compensate for the height automatically. The rod is non-rotating and it is very simple to mount them. The disc cups guarantee a quick and safe grip and are produced depending on the specific needs of the customer, based on the material to be manipulated (paper, cardboard, plastic). 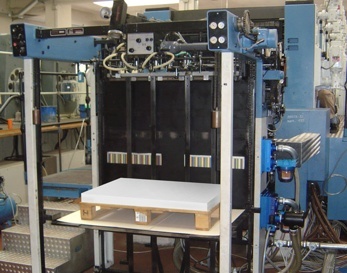 They can be die-cut from sheets, printed in oil resistant or nitrile rubber, in natural para rubber, or abrasion resistant rubber, in silicon, Viton, or other special compounds; they can be made in rubber or polyurethane panels and in any material is required by the end user. For printing and graphic industry, Vuototecnica developed many solutions that made employees’ life much easier and operations more effective and faster. 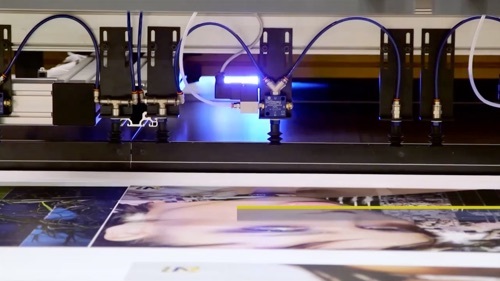 In the video below you can see in action Vuototecnica bellows suction cups in the socket and the release of large printing sheets within a digital printer based on UV-LED technology. The suction cups as you can see have no trouble browsing, separating the sheets: by virtue of their shape can indeed shrink, without friction between clean sheets and printed ones and providing greater stability. They also do not leave any mark on the surface; neither fingerprints nor signs. The sheet remains untouched and perfect. The suction cups are powered by a PVP 3 single stage vacuum generator, of very reduced dimensions in relation to its performance and made of durable materials. The generator is easy to maintain and it works using the Venturi principle, with compressed air only. The pick and place of the suction cups is automatical and without thought for the operator. To see the whole range of solutions for the graphics and printing, you can download the relative brochure! In this video, you can see Vuototecnica combined PA/PS suction and blowing pump, installed on a folding machine. As you can see, it replaces very well the side-channels impeller installed as standard by the manufacturer on the machine, without any problems. Compared to this new technology of pneumatic pumps for graphic/paper industry, even the electric rotary vane suction and pressing pumps are no longer competitive in performance and reliability and they are no longer an alternative from the economic point of view. The user who mounted the pumps in the video is a happy customer, especially given the absence of noise and heat, and he is feeding pumps with only 2-bar pressure. In fact, you can adjust the degree of vacuum (or pressure) and the flow rate in function of the supply air pressure, and, if you want, you can manage the pumps with proportional valves for compressed air, limiting the consumption to minimum, according to paper characteristics. In this video, you can see Vuototecnica 25 05 10 vacuum cylinders mounted on a paper sheets feeder. 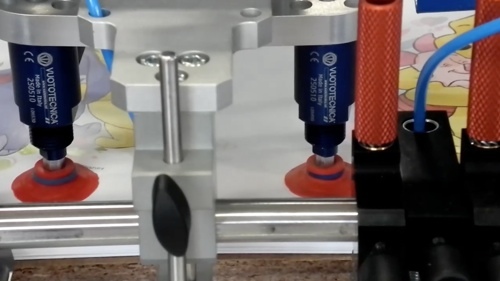 Notice how suction cups separate sheets in a continuous and fast way, in progression, without causing deformation or breaking on the surface of the paper. The grip of sheets is an important stage of the printing process and it requires short and fast cycles with the highest accuracy. 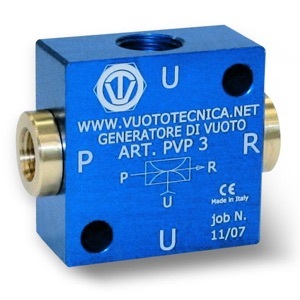 These are guarantees Vuototecnica can subscribe proudly. Cylinders operate in vacuum and they are provided with a front vacuum chamber and a back chamber at atmospheric pressure. The larger is the pressure differential between the two chambers, the greater is the push of the piston, which is connected to the piston rod, on which finally you can mount the suction cup. The suction cup holds the object in the outlet until the vacuum is applied. Then the piston rod returns to the starting position and the cycle is repeated. Everything is designed for efficiency: the piston is non-rotating and it is able to automatically compensate for the heights that divide it from objects to be taken. Even the materials are designed in a reasoned way: anodized aluminum for the cylinders, with a special bushing in technopolymer that lubricates autonomy and ensures a long service life of the components. Quality solutions specifically designed for the graphic and printing industry: we are talking about the Graphic Division of Vuototecnica . A division focused on the study and design of innovative technological solutions for printers, binders, and graphics and paper & cardboard companies. Feeders, sheet stoppers, folders, binders and gluers: there are many machines that can benefit from the use of vacuum and blower or suction pumps. The suction and blower pneumatic pumps (SP/BP) are part of the flagship products of the Graphic Division and represent the new generation of multiple ejector pneumatic pumps (multi-stage). Nothing to do with the outdated electric and rotary vane pumps, both in terms of performance and from the point of view of the reliability and the cost of the product. The Vuototecnica modular system saves up to 40% of compressed air, ensuring 80% less noise, and the total absence of heat, for a healthier and more liveable operating environment (60-65dB). In addition, the pumps work in complete autonomy and require almost no maintenance, just periodic cleaning of the filters. Thanks to the new ejectors, the SP/BP pumps allow an advantageous relationship between the amount of air consumed and that suctioned (or blown), for substantially reduced operating consumption. It is, in fact, possible to adjust the degree of vacuum (or pressure) and the flow rate, simply according to the air pressure, and to manage the pumps with proportional valves for compressed air, limiting consumption to a minimum, depending on the weight and the porosity of paper and cardboard in the printing machine. And the benefits don’t end here: pumps are available in several sizes, and, given their very low weight, can be installed directly on the machine. They only blow fresh air free of impurities, condensate or oil vapours between the sheets to be separated and allow a reduction of the electrostatic charges generated by the blown hot air of the traditional electric pumps. To learn more, download the Vuototecnica Graphic Division brochure. 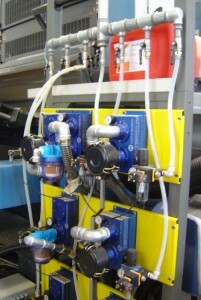 The pneumatic suction and blowing pumps (PA/PS) are the pride of the Graphic Division, a division created from the experience of Vuototecnica, entirely dedicated to the graphic design and printing sector and a leader from engineering to service, able to offer innovative and advantageous technological solutions from all standpoints: performance, reliability, durability and operational economy. 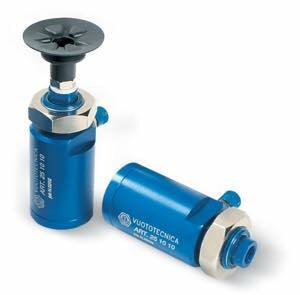 They represent the absolute best of the new generation of multiple-ejector pneumatic pumps (multi-stage); they are able to suction or blow as needed and represent a real evolution compared to conventional electric, suction/discharge, and rotary vane pumps. • They ensure the ability to adjust the vacuum level (or pressure level) and the capacity, based simply on the air supply pressure. 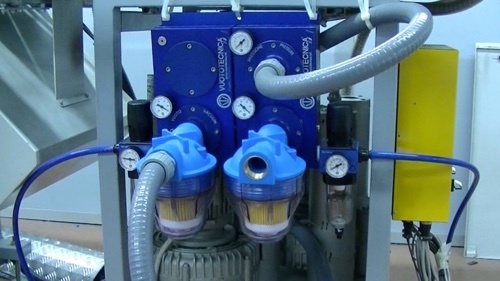 Depending on the air supply pressure, the pumps can be controlled with proportional valves for compressed air, limiting consumption to the minimum necessary, depending on the weight and porosity of the paper and cardboard in the printing machine. • The total absence of heat benefits the work environment. • They only blow fresh air, free of impurities, condensate and oil vapours, between the pages to be separated. 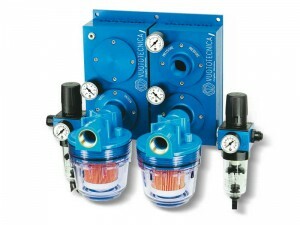 • Reduced electrostatic charges generated by the hot air blown by conventional electric pumps. • The use of selected, hi-tech, latest generation materials has made ​​it possible to reduce the weight of these technological jewels and to install them directly on the machine. • Minimal maintenance required; just a simple cleaning of the suction and blowing filters. • Sheet feeders: To lift the sheets using vacuum suction cups and separate them with a puff of air. • Sheet stoppers: System for stopping the sheets printed in the output area and to stack them quickly, using suction bars. • Benders: For bending paper during operations that require both suction and blowing. • Binders and gluers: For binding books or brochures via independent work stations equipped with suction and blowing systems. These are just some of the potential uses of PA / PS pumps in the paper industry, but Vuototecnica’s Graphic Division is ready to meet the needs of each individual printer who intends to increase their productivity and improve their work environment. Vuototecnica supplies only the very best vacuum technology, ever striving for excellence, but there’s more. The company also aims to give customers a personalized, made-to-measure and versatile product, in order to satisfy any and all requirements. With this top-quality, customised, and versatile mentality, one of Vuototecnica’s finest departments, the Graphic Division, has made available made-to-measure vacuum disk cups. 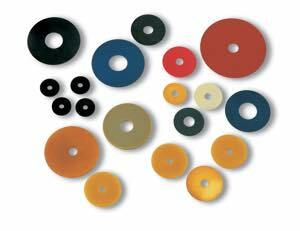 These go beyond made-to-order disks with standard sizes and characteristics. They can be designed and produced with the client and for the client. 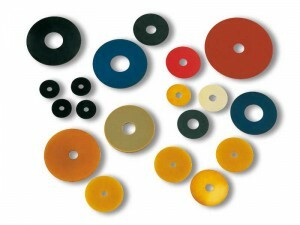 Adjusted, designed and produced with specific buyer requirements (a minimum order will be set at the quotation stage), the vacuum cups can be perforated from sheets or moulded in nitrile rubber, natural Para rubber, in silicone, or special blends, as well as in rubberised or polyurethane fabric. It’s personalised excellence: just like an haute couture creation, these vacuum disks are the ideal solution for the graphics industry. They present a quality alternative to traditional suction cups that handle sheets of paper, cardboard, and plastic.